Midsummer Madness is one of those movies you will encounter most likely accidentally. It's a production of several countries and also several languages are used in the film: English, Latvian, Russian, French. 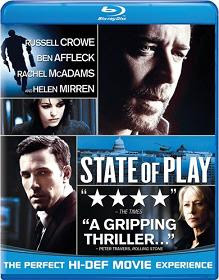 It's not a blockbuster movie and it's not the most usual one. 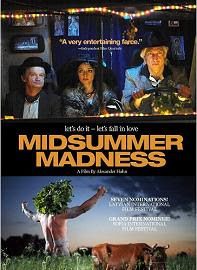 Without being exceptional and of greatest quality Midsummer Madness is a good choice to watch if you come across it. Midsummer Madness is about Latvia (the country of origin of director Alexander Hahn) but not only about Latvians. The movie follows the stories of several different people, either Latvians or foreigners, happening on the day of Janu Nakts (St. John's Night). According to a legend, on this night, love seekers should go on a quest for a glowing magic fern in the forest. The magic fern fastens together the experiences of the characters in the movie in an artificial way but the events don't need fastening anyway in order to be appreciated. There is a big variety of stories, each of them fascinating in its own way: We meet with Curt, an American in a search for his half-sister that he has never seen. We follow Livia, a French lady carrying the remains of her husband to the Hill of Crosses in Lithuania (thinking it's the same as Latvia). We see a couple of locals trying to steal some fuel. We celebrate with a group of Latvian firemen showing hospitality to a couple of English colleagues. We laugh at the cheap attempts of a local businessman trying to make a deal with two Western guys. And we appreciate the simple wisdom of the common taxi driver Oskars. Midsummer Madness tries to present the post-communist reality in an Eastern European country like Latvia with a lot of humor and an international touch. Apart from the use of the already mentioned several languages, in the movie there are characters of Latvian, Lithuanian, English, American, Russian, German, Austrian, French, Chinese and maybe other nationalities. But despite all of this internationalism, it's hard to perceive Midsummer Madness as a product not coming from Eastern Europe. And in this lies the charm of the movie. It's not the best film coming from Eastern Europe but it sports some typical atmosphere that we can hardly sense in a Hollywood motion picture. Midsummer Madness shows mainly the life out of the big cities and thus there is some beautiful scenery to appreciate. For people, seeing it for the first time, the Hill of Crosses looks very captivating and creates the impression that it is coming out of a fantasy movie. There are also some annoying or not quite feasible details like a very artificially attached kangaroo appearing all of a sudden several times throughout the movie or like portraying Americans as taking a single shower for whole 2 hours. Despite its flaws Midsummer Madness is an interesting movie. It's not the most profound film about love, neither it's incredibly funny but it offers enough cheery moments in order to make you laugh even though some of them seem almost absurd. If you are not an inveterate Hollywood follower, you can give this Latvian craziness a try. Walk through our Review Maze to read other movie reviews.